Gerbil comes in two parts, a command-line interface (CLI) called gerbil (or gerbil.exe) and a graphical user interface (GUI) called qgerbil (or qgerbil.exe). On this page we explain how to use the CLI for batch-processing of images or for algorithms that are not accessible via the GUI. All options can also be given in the specified config file. Options given in the command line will overwrite options from the file. 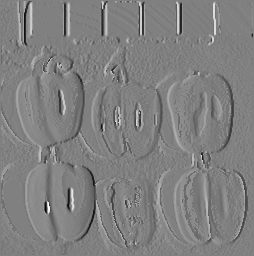 edge_detect:  Edge detection in multispectral images using SOM. Note: We denote user input with a hashtag here, don’t enter the hashtag. The command line contains three parts: A command, optionally a configuration file, and options to the command. With the --help or -H option you can obtain an explanation of available options. 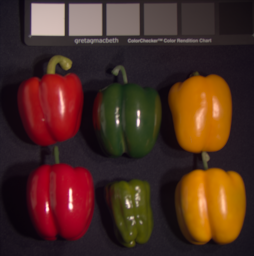 XYZ does a true-color image creation using a standard white balancing. 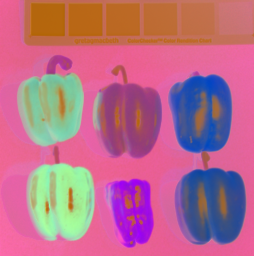 PCA and SOM do false-coloring." In this example, we combined a configuration file with command line options. Note that command line options always take precedence over a config file. E.g. if the config file states input.gradient=false, we would still operate on the gradient with the command above. 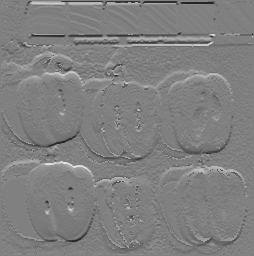 Edge detection in multispectral images using SOM. --similarity.measure arg (=EUCLIDEAN) Similarity measurement function. As you can see, here the SOM learning parameters are given directly. Also, the input and output parameters are different. Let’s just try it! 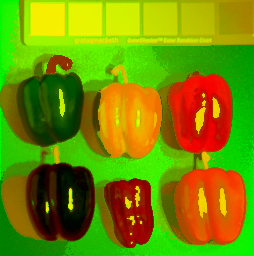 # bin/gerbil edge_detect -I data/fake_and_real_peppers_ms.txt -O . © 2013 – 2016 Johannes Jordan. 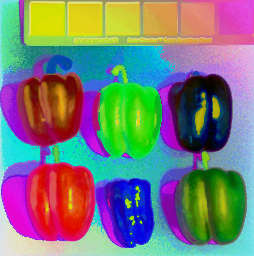 Gerbil is free software.